In this post you can find out causes and solutions to error “Windows cannot initialize the device driver for this hardware. (Code 37)”. This is one of the errors happens in Device manager and it can be fixed by following approaches. What is “Windows cannot initialize the device driver for this hardware. (Code 37)” error? We’ve discussed “Windows has stopped this device because it has reported problems. (Code 43)” in last post, and we’ll give a brief introduction of code 37 which also occurs in Device Manager. Devices and applications update rapidly in the market and users would like to equip their computers with latest components to get better functionality and performance. However, sometimes installing new devices may give rise to some critical errors such as incompatibility, driver or registry issues. There is driver error with computer, such as corrupted, outdated or incorrectly configured drivers. Operating system infects virus or malware and system file or related drivers are damaged. How to fix Windows cannot initialize the device driver for this hardware. (Code 37)? Since causes of “Windows cannot initialize the device driver for this hardware” vary from one to another, thus solutions to troubleshoot the problem can be many. This section can’t include all possible solutions, but we’ll list the methods that work on most situations. Let’s see how to fix error code 37. It’s possible that code 37 is caused by malware or virus which can damage, corrupt or delete files related to drivers and Device Manager. Thus, it is necessary to perform a full virus scan for your computer using anti-virus software. Before reinstalling device drivers you should make sure the device is properly attached to computer. Check cables in computer case are well connected components. Then try the following steps to reinstall device driver. Open Device Manager. Click Start button to select Control Panel where you can click System. Then select Hardware tab on the System Properties dialog box. Click On Device Manager tab. 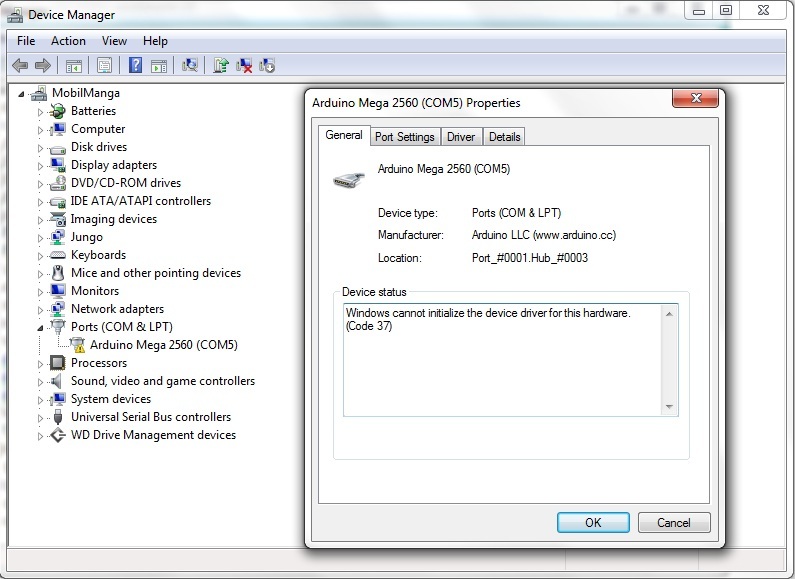 Scroll down the Device Manager and locate the device which cannot be initialized by Windows. Right click the on the hardware and click Uninstall. Then you can follow the on screen instruction to complete the process. Now display the Action menu and click Scan for hardware changes. Then you can follow instructions to reinstall or update the driver. Please note that if Windows on your computer is 64-bit, you should make sure that the device driver is properly digitally signed for a 64-bit system. If it is not properly signed, then contact device manufacturer foe assistance. Windows operating system often releases updates to improve performance or repair vulnerability. Sometimes the Device Manager error 3 can be fixed after installing the latest Service Pack or other patch. Click Start button and enter “update” in searching box. Click “Windows Update” in the searching result. Click “Install Updates” on the Windows Update dialog box if there are updated available. 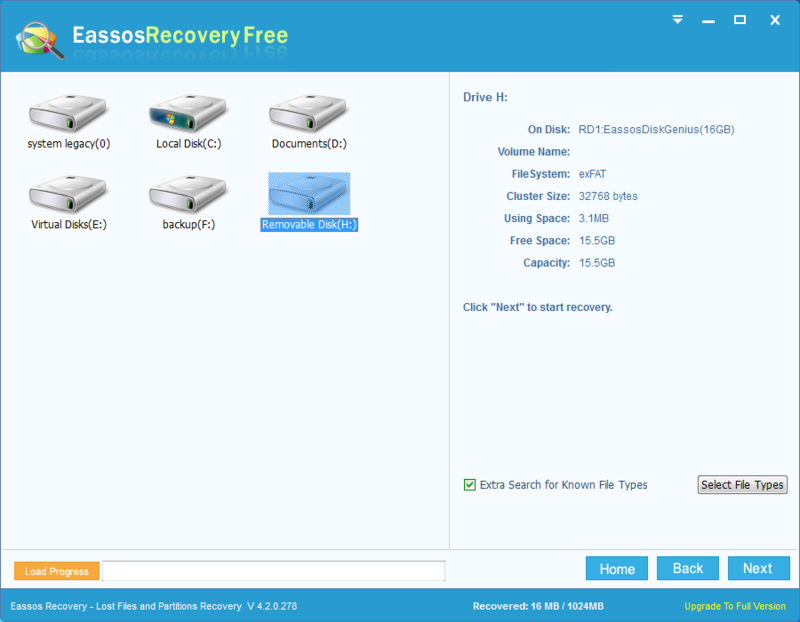 How to recover data from not initialized storage device? When a storage device shown uninitialized in Device Manager or Disk Management, some users will try to initialize it or format it to make the device recognized by system. However, such operation erases data on the disk. If files on your device get lost due to error code 37, you can follow this instruction to recover lost data from not initialized devices. Connect the device in question to computer. 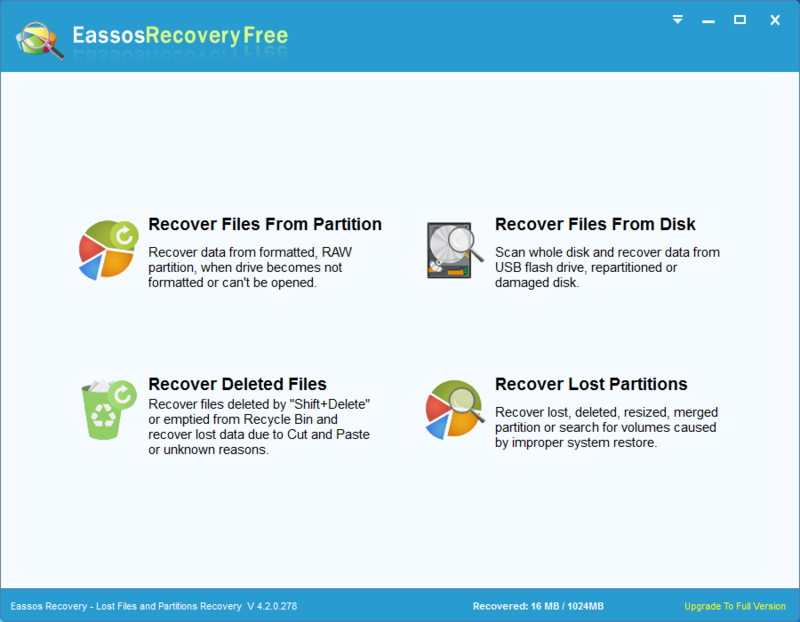 Launch Eassos free data recovery software – Eassos Recovery Free. Select Recovery Files From Disk button and then select the storage device receiving error code 37 to start searching for missing data. 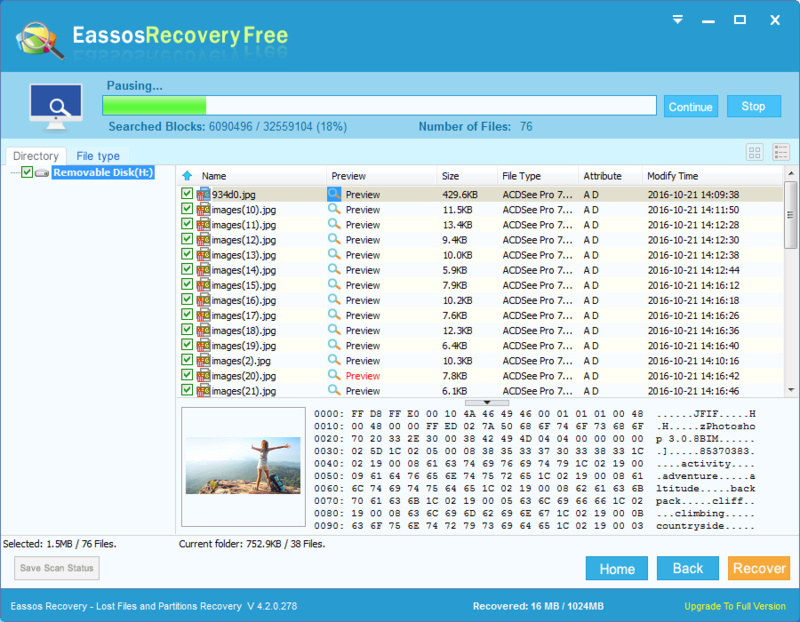 Preview and recover files. After or during scanning process, you can preview files to decide whether files are recoverable. Then select files you need and click “Recover” button. This entry was posted in Partition Manager and tagged Code 37, Windows cannot initialize the device driver for this hardware, Windows cannot initialize the device driver for this hardware. (Code 37) by EASSOS. Bookmark the permalink.